TAMIYA HAS PRODUCED MORE THAN 300 subjects in its 1:24 ‘Sports Cars of the World’ series. This time though, the Toyoda Model AA of 1935 isn’t actually a sports car, but it certainly has a highly significant history. Mat Irvine: The Toyoda Model AA’s significance lies in the fact that it was the first Toyota passenger car produced, in 1935. Note the ‘d’ in the name, because it was developed by the Toyoda Automatic Loom Works Company, under the guiding hand of Kiichiro Toyoda. The automotive section of Toyoda became independent in 1937, when the name was altered slightly to the now-familiar Toyota. The reasoning behind the ‘t’ is slightly confused, but seems to be that writing Toyota in Japanese kanji requires eight brush strokes - and number eight is lucky in Japan! Parts layout includes the decal sheet (lower centre below) with chrome-like decals. The 1:24 scale Tamiya Toyoda AA celebrates this icon of Japan’s auto industry with a fully detailed body, chassis and interior, though it lacks a full engine. Pleasingly, a detailed driver figure of the period is included, though we don’t know if it is meant to represent Kiichiro Toyoda himself. Sorting out what will be painted in body colour (above). Items include the wheels, spare, and the two headlamp pods. Only the bumper brackets are missing here. Primary assembly of the chassis (below) which was to be painted gloss black. The Toyoda AA kit depicts the stock colours that were available at the time. There were three - the universal black as depicted on the box-top, a dark blue called ‘nasukon’ in Japanese, and a dark dusty-pink called ‘haizakura’ (below). As it is an unusual colour for a car of this era (or any era, come to that) this was the shade I chose for the review kit. The haizakura shade has to be created first, the instructions suggesting a 4:1 mix of Tamiya X2 gloss white and X9 matt brown. Then you have to sort out which parts need this colour as, besides the main bodywork and fenders, there are the wheels, spare cover, headlamp pods, plus front and rear bumper supports. The two colours were mixed and thinned with Tamiya’s own thinner, and a test airbrush done. The first effort looked slightly too light, so a touch more brown was added to darken it. Several coats were applied to the relevant parts, which were then put aside to dry thoroughly. Although the main X2 paint is gloss-finish, the mix dries matt, so I used Humbrol gloss varnish as a top coat, though Tamiya makes a similar product. Note that if you are use one make of paint over another, it is always advisable to check compatibility. So I tested the gloss on a scrap plastic sheet. It dried perfectly, so I could apply it safely to the main parts. The chassis parts are black, and although the lower engine block part is also listed as this shade, I actually painted it dark green as a contrast. The radiator shell (below) is separate from the main body. A chromed insert is supplied for the grille. The photo-etch Toyoda badge is placed on top. The spare wheel (below) in its cover. The chrome trim is supplied on the decal sheet, though here the outer band was replaced with BareMetal foil. The floor panel (below) was painted matt white, the fenders being masked off during painting. The interior for all body colours remains the same - mid-brown, with a mainly grey floor, though the front footwell area is in matt white. Decals are supplied for the instruments. Details include a separate gear shift, hand brake, floor pedals and steering wheel. Japan drives on the left, so Tamiya has supplied the driver figure with optional left arms, one holding the wheel, the other changing gear. Fitting out the interior (below). Note the two floor colours, and that the door handles have been covered with BareMetal Foil. This was also used for the rear-seat foot rest. The driver figure (above, below) with optional left arms. Here, both have been painted before the decision was made as to which one to use. The gloss-black chassis rails (below) contrast with the matt-black main underside. For the exterior bodywork there are a selection of decals for the pin-stripes, licence plates and badges. On the same sheet, there are also some simulated-chrome items. There is one photo-etch part, the Toyoda wing motive, with the name in Japanese kanji characters. This attaches to the top of the radiator shell. The finished Toyoda Model AA, seen (above) next to the box, and (below) pictures that reveal the excellent detail that Tamiya has included. The Toyoda Model AA was powered by a straight-six OHV engine, fitted to a strong ladder-chassis, carrying a conventional type of four-door, five-seat body, based on the Chrysler Airstream. The back-seat area was more spacious than the front, and included such comforts as a folding foot rest. Although basically an all-Japanese automobile, the Toyoda AA used many off-the-shelf US components, ensuring that spares availability would not be a problem. Thanks to Tamiya’s UK importer and distributor, The Hobby Company for the review kit. Note: This review is in memory of Glynn Pearson, a much respected UK modelling industry stalwart, who died in January 2016, aged 81. Glynn worked in the industry for 50 years, firstly with the Richard Kohnstam company that included RIKO International, then moved to help set up its new incarnation, The Hobby Company, in 2000. Glynn was one of the first to look into the up-and-coming Japanese hobby industry, and to expand it out from its home country. He knew many people in Japan and worked directly with Tamiya, getting the company interested in, for example, Formula 1. 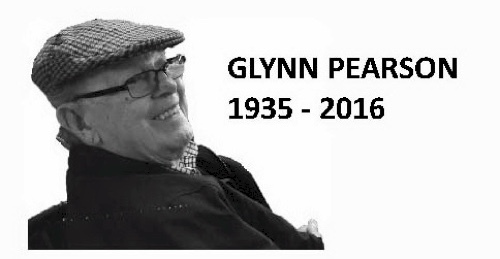 I knew Glynn for many years, and he was one of the nicest and most helpful people you could ask to meet. He will be much missed in the hobby, both in the UK and Japan.